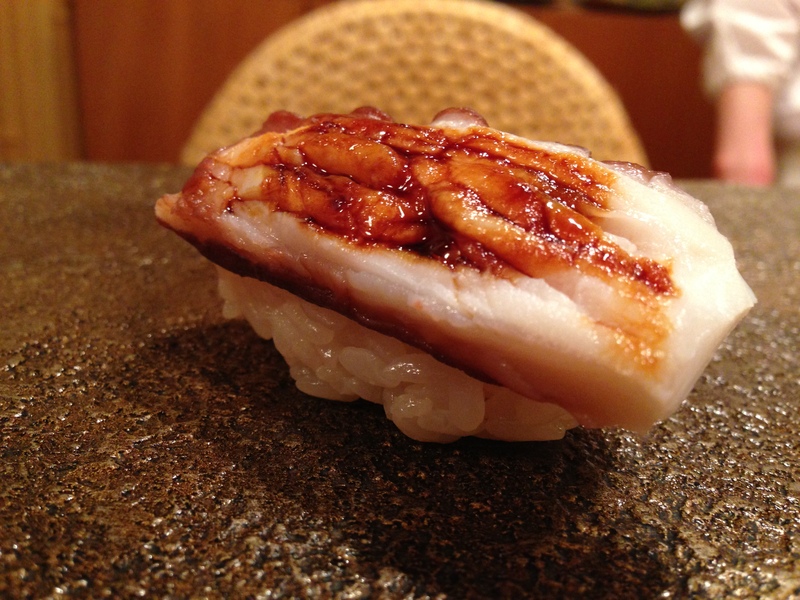 Sushi Matsumoto was a subtle, glorious step up from the sushi counters that I had come to know living in Los Angeles, even the good ones like Kiriko and Sushi Zo. Part of that was due to the unparalleled freshness, delicacy, and abundance of the phenomenal ingredients, but the other element was this sense of dedicated interaction between the 3-person staff and me (and the rest of the diners). I counted my blessings, embarking humbly on an eighteen-step program of enlightenment. 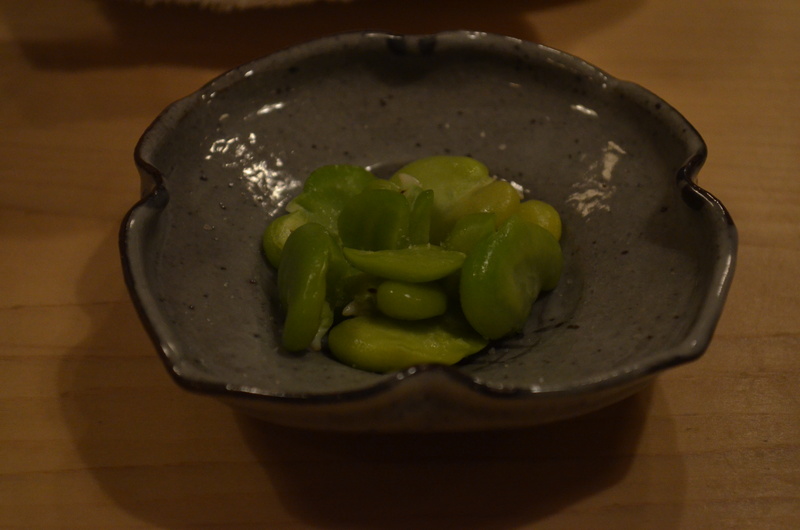 We kicked off with a small dish of salted broad beans, followed by hirami (flatfish), ika (squid), and kohada (gizzard shad). 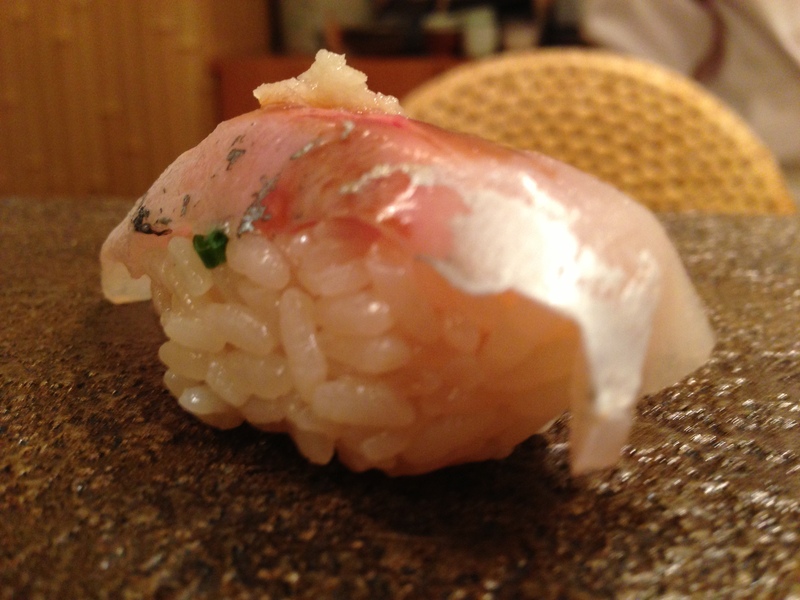 The hirami hummed a first note of freshness, a stark contrast to the distinct, lush, vinegar-y pungency of the rice. 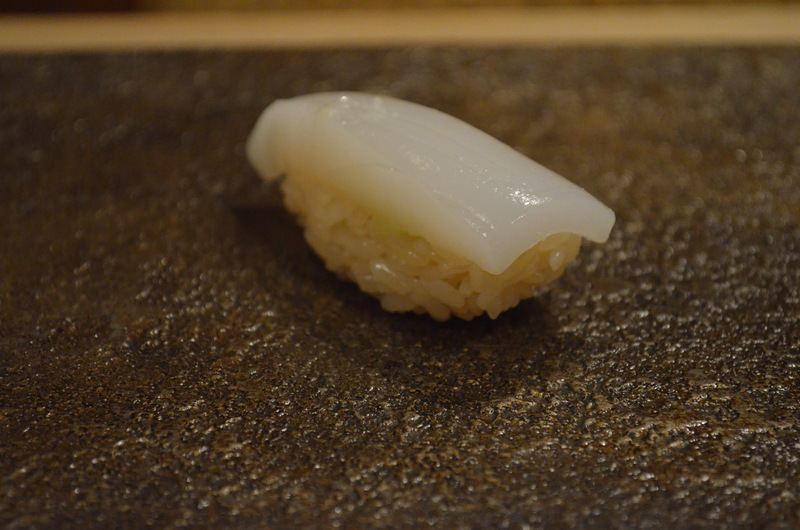 In turn, the squid was the textural point of departure, a soft crunch, a mix of sweet flesh and lightly-sprinkled salt. 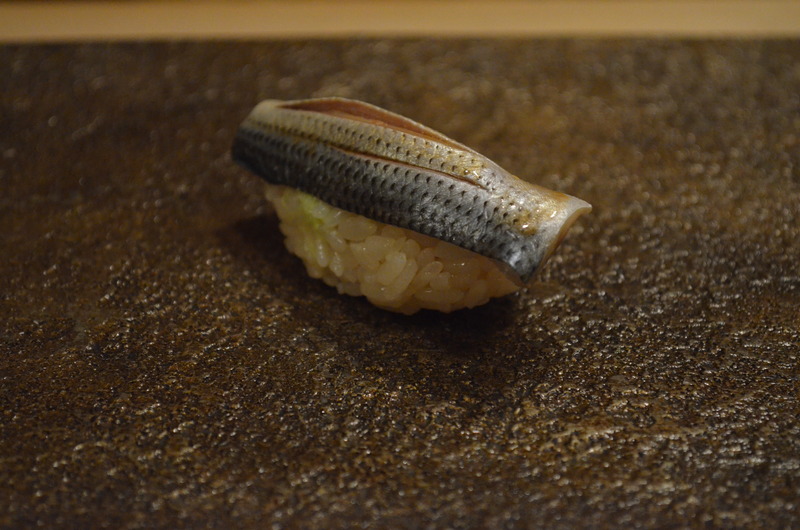 Even though it was thin, the kohada had a blend of richness and acidity like fresh sardine just-splashed with lemon, supported by the flavor of the rice. 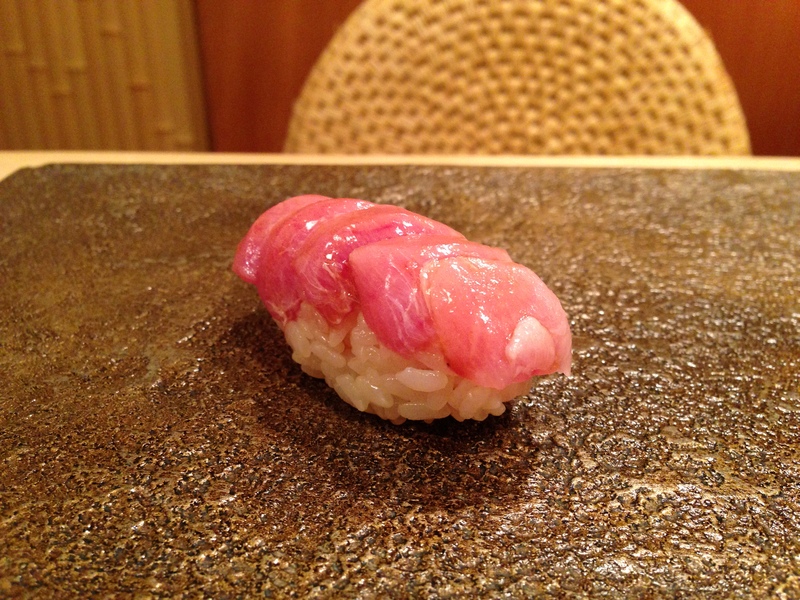 Next, the chef served up two cuts of tuna, the leaner maguro and the luxurious toro. 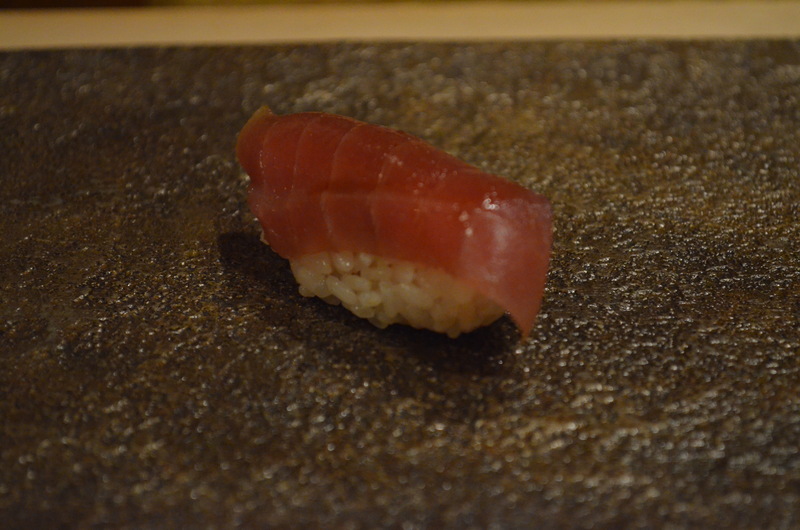 I’m slightly more partial to toro, but regardless, this toro was magical The tuna was followed by awabi (abalone) and tako (octopus), before moving back to fish, kisu (small Japanese whiting) and what I think was aji (horse mackerel). 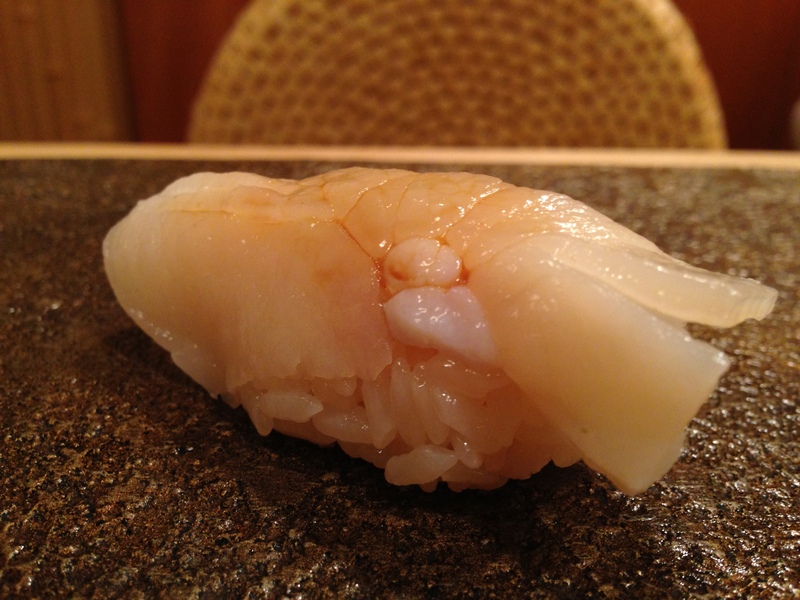 To my surprise, the awabi was immensely flavorful, and much less chewy than I expected. 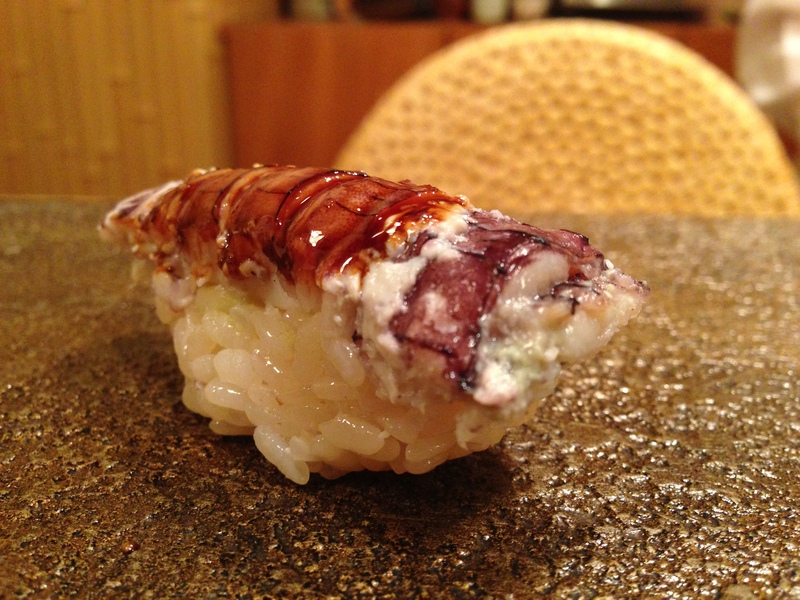 By relative standards, the octopus was my least favorite sushi of the night, but its memory was quickly replaced by the lightness of the kisu. 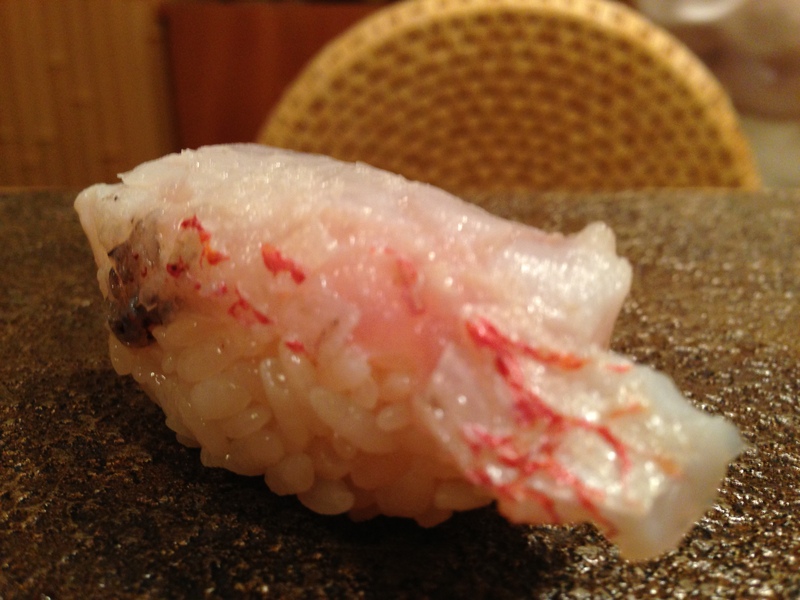 The other benefit of the rice’s sourness is that it clears much of whatever residual taste might have been left, so that each piece of sushi starts from clean slate. 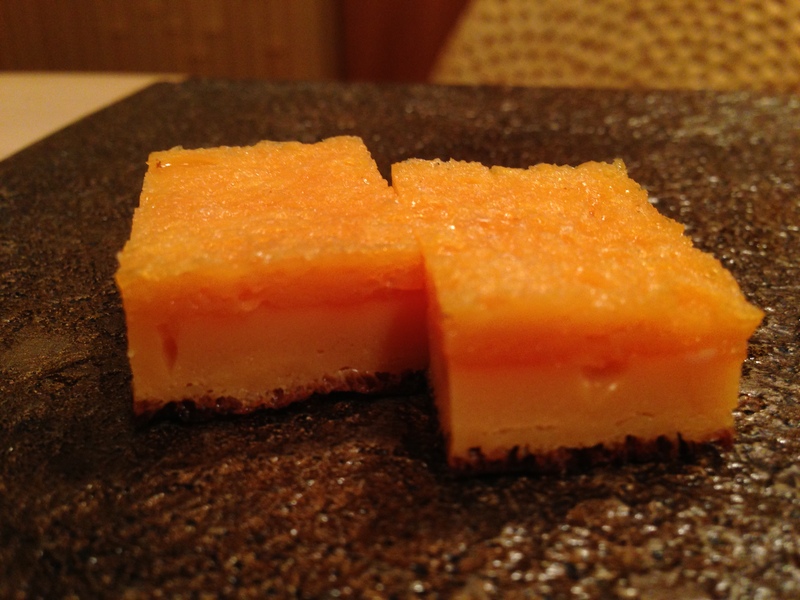 That, and the occasional mouthful of deliciously sweet, warm sake I ordered to accompany the omakase menu. 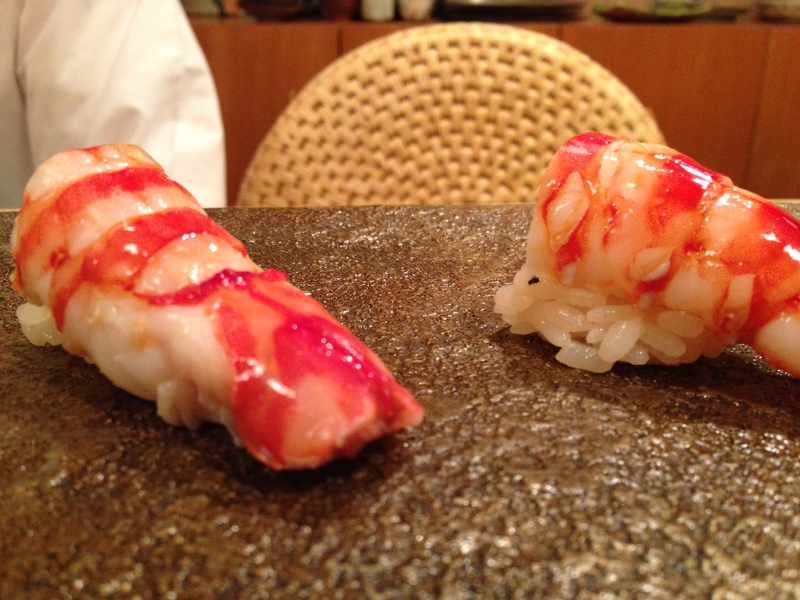 The shrimp sushi – kurumbi-ebi (imperial shrimp) and shako (mantis shrimp) – boasted succulent, sweet meat, each with their own slightly different levels of tenderness. Chef then served up snapper, scallop, and torigai (cockle clam). 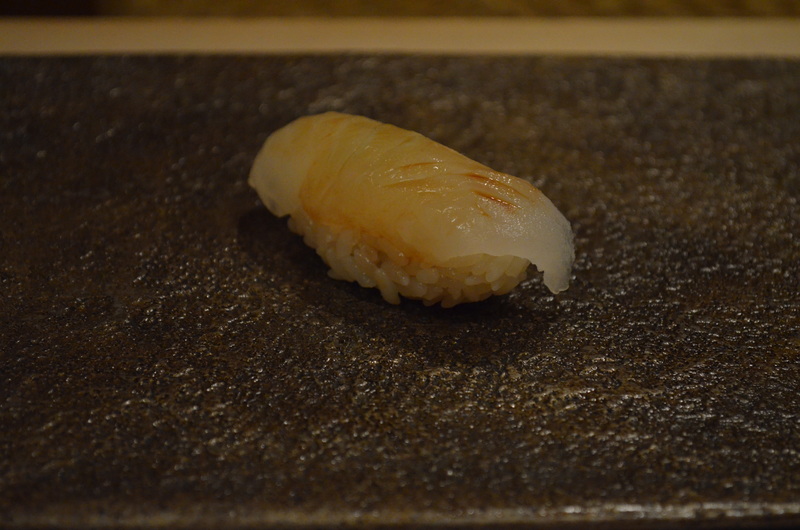 The scallop seemed like it was filet’d from a fist-sized scallop, and like the squid had a pleasant sweetness. 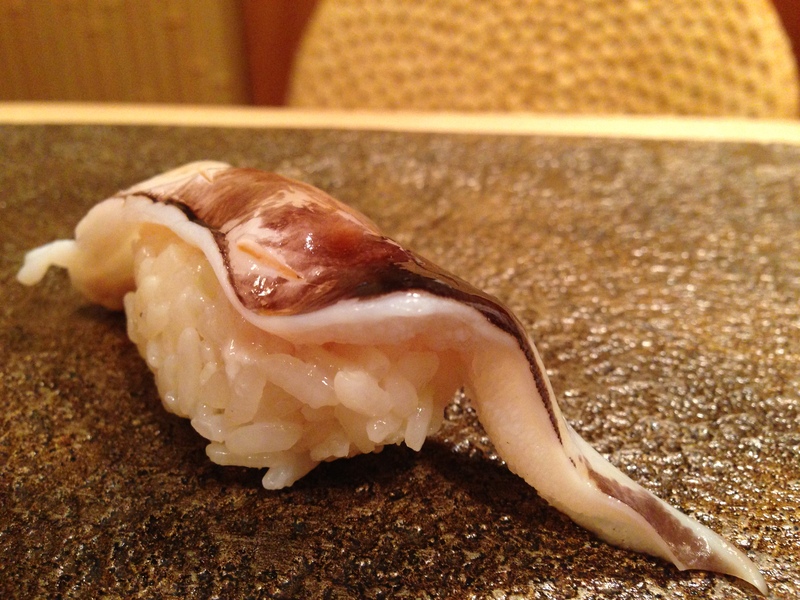 The torigai was a bit too chewy for me, but I couldn’t fault it for the fresh briny-ness that tasted if lifted just earlier from the sea. 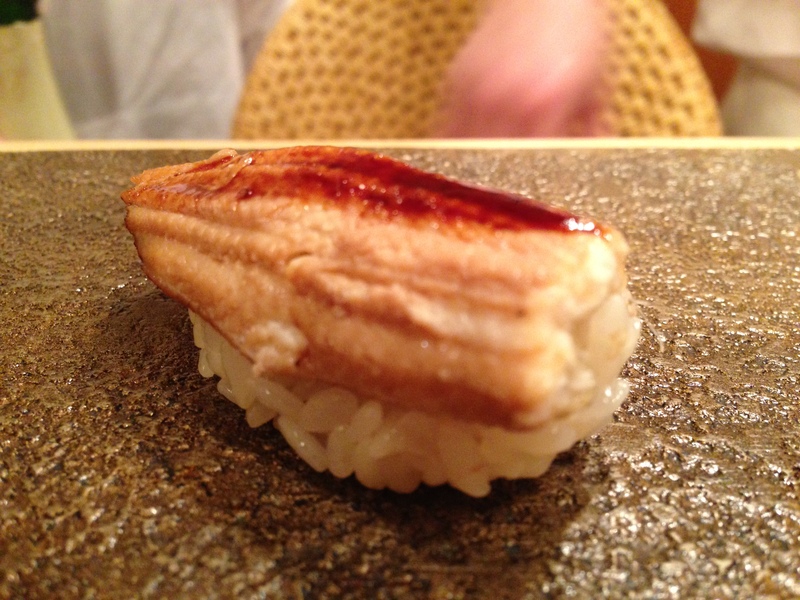 The last two nigiri were among my favorites that night: an eye-opening punch of uni and a long slice of delicate anago (salt-water eel). 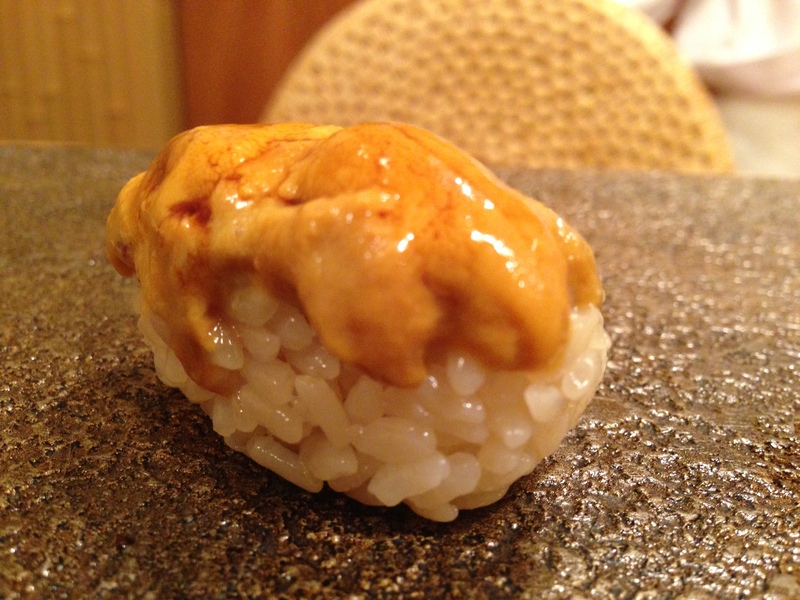 The uni, small as it is, flooded my mouth with luscious, slightly smoky, tangily buttery and sweet umami, as if walking into a side gallery of some museum to find a giant breathtaking installation, a momentous twist of plot, a long wide-eyed gasp of flavor. 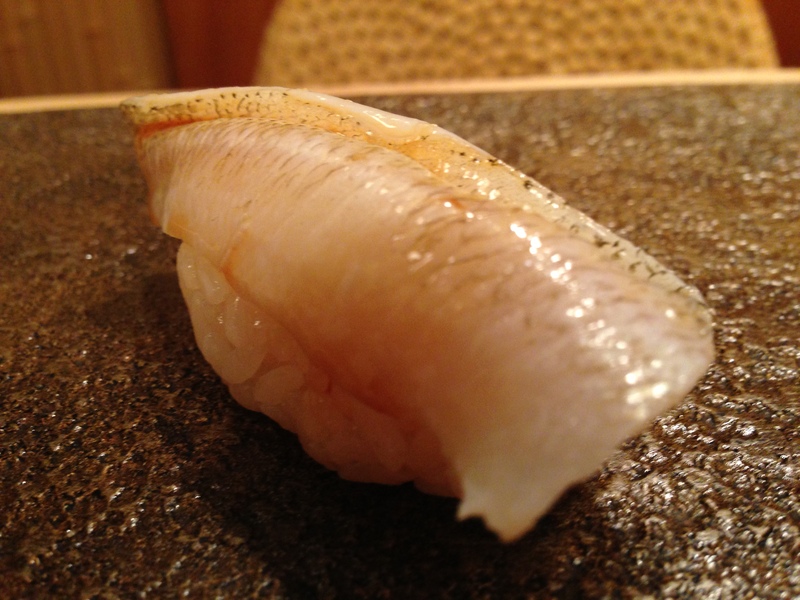 By contrast, the anago set me back down gently, although it was not without its small surprises, lean and light to the point of some flaked whisper. 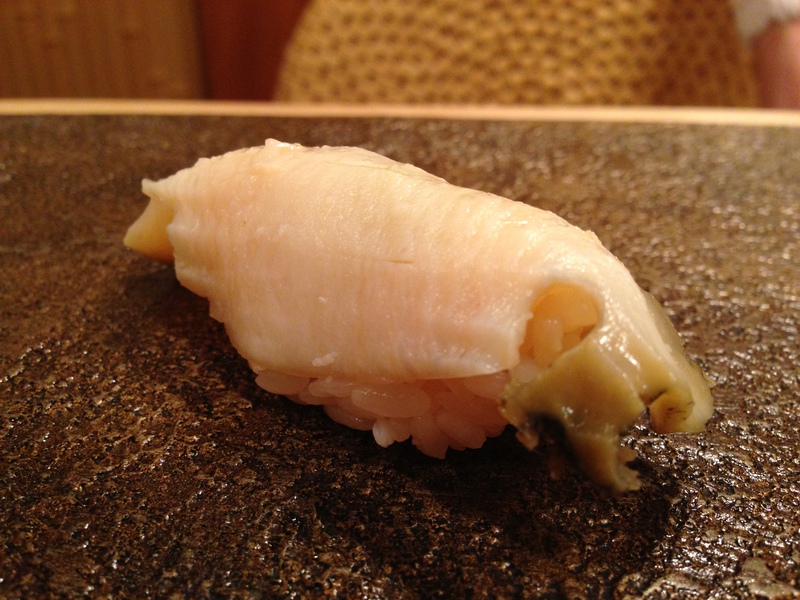 The marathon meal wrapped up with two little bites of kampyo maki (dried sweet gourd), a happy send-off. After the entire experience, a bit exhausted by the food and drink, I realized another part of the joy of the omakase experience at the bar is watching the chef and his assistant, their nimble and self-sure hands busying themselves with the quick dance of slender knives, mounds of freshly-steamed rice, dabs of wasabi, arrangements of plates and bowls and cups.